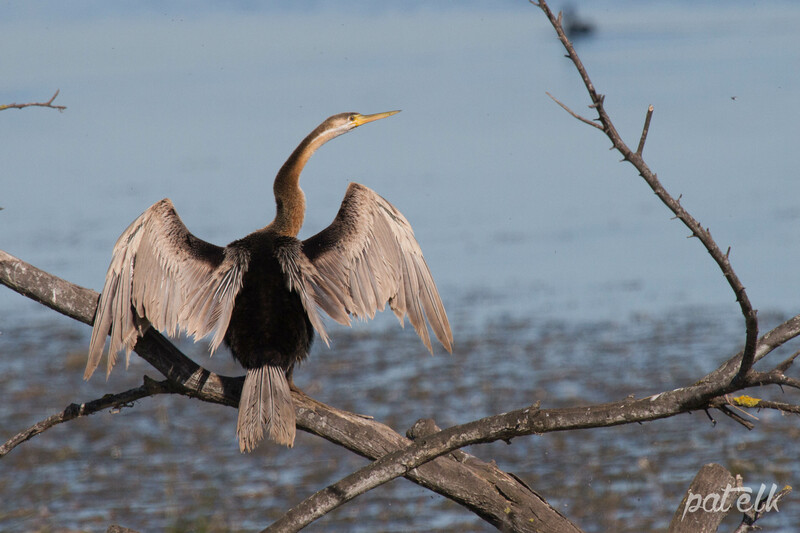 The African Darter dons a gorgeous set of feathers during the breeding season. He dons a beautiful dark undercoat with long streaky ribbons down his back. This is what his normal set of feathers look like in the non-breeding season. 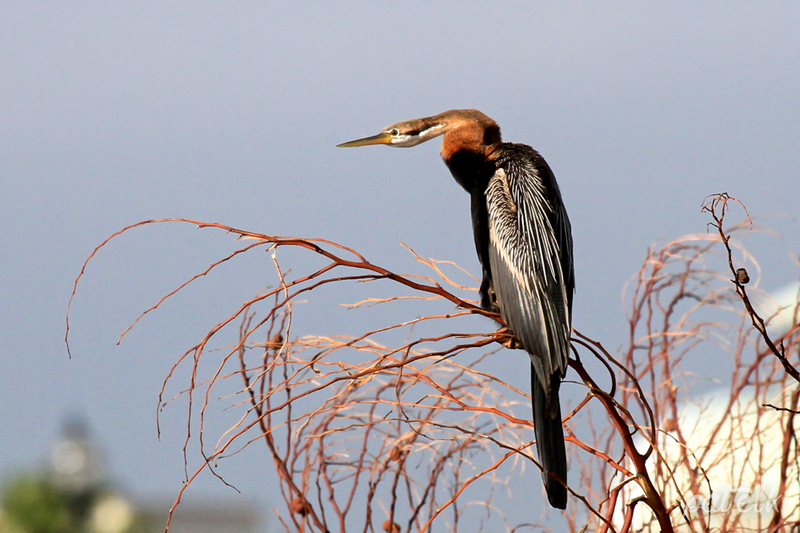 The African Darter is a magnificent fisherman.